technology improve the life of the modern healthcare worker. EasyShifts schedules are easy to create and easy to manage. Fully customizable to meet your needs. Filling open shifts and finding replacements for call-ins can be a nightmare. With EasyShifts it's quick and easy. You can set EasyShifts to not allow your employees to pick up overtime shifts. All users can communicate through EasyShifts and receive text or email notifications the instant that changes are made to their schedules. Spend less time scheduling and more time on more important things. EasyShifts helps maintain level staffing patterns, which can prevent expensive fill-ins or avoidable overtime. Employees can access their EasyShifts schedule at anytime and from anywhere. Your staff will love you! EasyShifts unites all your employees. And puts everyone on the same page. We have been using Easyshifts at our facility for a few years now. It is very easy to use and we love that we can view our schedule from home. It has been user friendly and our staff love it. I do not have to spend hours on the phone, calling staff to pick up shifts. for staff and helps them balance work and home. little effort. I will never go back to paper schedules!" No credit card required. We do the work to set you up. 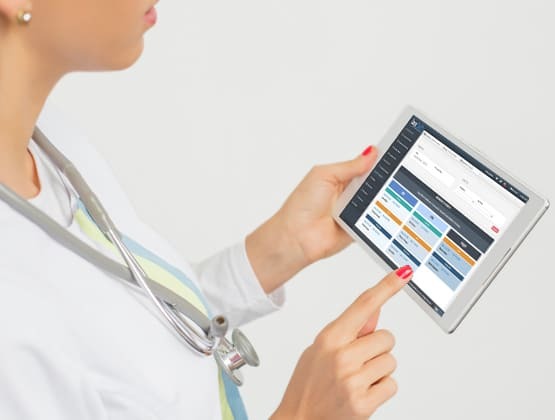 A common sense way to let technology improve the life of the modern healthcare worker.